Find here (Internationalization of the R&D, Nanotechnologies, Map of technologies, Text analytics) short presentations of various research topics related to our projects. They are deeply linked to the study of science and technology and usually driven by a quantitative point of view. This perspective allows us to draw some basic elements of the studied fields (scientific and technological fields). 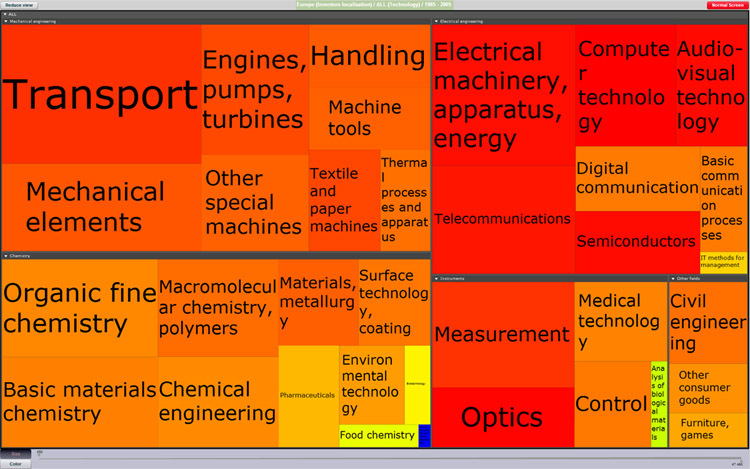 With each research area (Internationalization of the R&D, Nanotechnologies, Map of technologies, Text analytics) is associated at the bottom of the page all the visualizations (geographical maps, maps of actors or institutions, treemap, video) that correspond to them.